I feel that differentiation has been the key to success this year. We use iPads or Chromebooks throughout the week, and the students are unaware of what assignments their classmates are assigned. 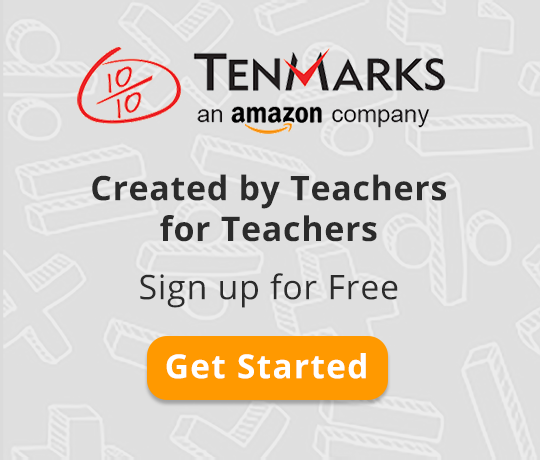 The feature on TenMarks Premium that I feel is the most powerful aspect is the ability to create assessments by the standards. After the students complete the assessments, it gives me instant data on how well the students understood the standards. I also have the ability to monitor the amount of time the students have spent on the assessment. I definitely make sure to let the students know that I have that ability. Another great feature is the automated recommendations that are given to the students when they have completed the assessments. A student may be given a recommendation at grade level or a student may need a refresher of a standard from the previous year. If the students have successfully completed all of the standards in the assessment, recommendation will be made to extend the students’ learning for the up in coming year. By giving the students assessments, I have been able to hone in on strengths and weaknesses of each of my students. I feel that TenMarks is definitely preparing my students for the standardized testing and the upcoming school year!